Do you really desire a successful relationship or marriage? Do you want to make your romantic relationship last? To what extent do you want that? Until your selfish interest is met or when you achieve the best through joint effort? And the answer is….? I would love you to ruminate on the answer you give to the question above. You see, so many times, we are preoccupied with seeing a relationship or marriage in its glamorous state of blissfulness, and we leave behind the nitty-gritty of getting this done. Sometimes, we are so lost in the pleasure-seeking part of romantic relationships that we are blinded to the least requirements to see our relationships grow. When I look around the world, I see both the young and the old with the burning passions of driving their romantic relationships – even normal everyday relationships – to cloud nine! I look deeper and I can see people who cannot find their paths into the endless merriment they seek. I see those who lack the wherewithal to help keep up a relationship to last. Whenever I see this menace, I sigh! Without an iota of doubt, the best of relationships needs to be maintained and carefully guided to meet the fruition that those involved wish, else the doom is lurking! Are you one of those who want to build a Rome in a day? Don’t! Don’t belong to the group of people who want to do and give everything in a day. In fact, if you want your relationship or marriage to have a daily festal experience, it starts and continue with giving little when required – not out of your whim! I had thought, if we are part of those who seek undying love, shouldn’t we find a way around driving our relationships toward the nuptials and our marriages toward perpetual bliss? If you are like I am – someone who seeks a relationship that lasts forever in love – you would just embrace the following thoughts, and make it your guideline as far as showing love is concerned. Nothing being gainsaid, you and I sure understand that rightly said words make a great part of success in relationships. When words are said rightly, they have in themselves the potency of mending the worst of broken heart and have the tendency to break the strongest of heart when uttered in a humiliating manner. You wouldn’t agree less! You and I know that actions are pivotal to the success of every relationship until the world ends; and that fact cannot be jettisoned. But it’s alarming how our actions sometimes show hatred as against proofs of love. More than questionable when we expect our partners to approve of the little we dish out to them in an unreasonable manner. As a person, how do you feel when your loved ones act in a way that broke your heart, no matter what the content of their action proves? You would feel bad, right? Then expect your lover to feel the same way too. My good friend, if you don’t know how to act right, or you partner complains about this, please seek help and you will be glad you did. Let your actions be a complete embodiment of outlandishness. Let your disposition also follow suite. Yes! It’s not how much you give but how much it’s worth to the person to whom you are giving it or how it is appreciated. 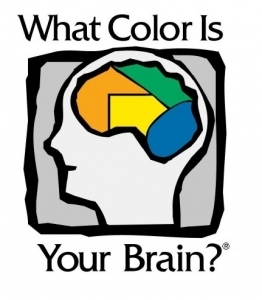 It even has to do with the mind with which you are giving it. Have you seen a relationship that succeeded without the commonest of gift? If you have, I haven’t! Ideally, the giving of gifts is one area of relationship building and sustenance you must learn early. Gifts could be your time, your money or resources, even words. But… Watch how you give! Watch it because, gifts has life or death in them. The least of them could be the hope that the receiver needs. A gift also could be the reason someone ends up being unloved. To a sorrowful heart, well-crafted few lines of encouragement has more value than the costliest of cars, even so is a cupful of water to someone dying of thirst than the sumptuous of all meal. What is that telling us? That your gift and the mental state of the receiver are directly proportional most of the time. Then, it’s best to know what one will appreciate before we invest in buying or giving anything to such. The bottom line is, SHARE to CARE! It is true that we cannot do without being hurt in relationships. It is true that our lover/loved ones would not do without stepping on our toes. And when they do, we feel dejected, heartbroken, and even worse. But, if we let our feelings drive our reactions, we will find out before long that we only tend to strengthen rivalry. Hey! I am not asking you to be a dummy, anyway; neither am I seeing you as one here. It is understandable to follow our feelings sometimes, but better when we can always let love rule and not our reactions. All things being equal, every working relationship sure must have moments of planning and then see to how it will work. We must take conscious measure to build our relationships to work. However, it is laughable when I hear the plans that some people have towards building and sustaining their relationships. Some people want to build an empire for their lover in a day. You and I know the saying that, “When you fail to plan, you have equally planned to fail” is ever valid: when you plan to build and grow your relationship to maturity, you stand to eat of its fruit; doing the other would only bring about untold regret in the long run. You want your relationship to really last? Then do these! Never give your heart to the one you are not sure could get it mended peradventure it breaks. Explanation: This is one epistle everyone who has a heart should read. It sure proves potent if taken seriously. You and I know that some people would have been their bests today if they could tell whether their “ex’s” were heartbreakers. If disappointment would no more be an experience, it would only come at the demise of expectations; because with expectations come disappointments. Explanation: To me, expectation is the inventor of all disappointments. If you don’t expect something from me, there is no way you will ever be disappointed. The more of an expectant lover you are, the more disappointment is obtainable. What do you do, then? You don’t engage yourself in believing empty promises. They might be soothing to hear, but their ends could be the heartbreak you never dreamt of. You can read more lovely relationship quotes here. 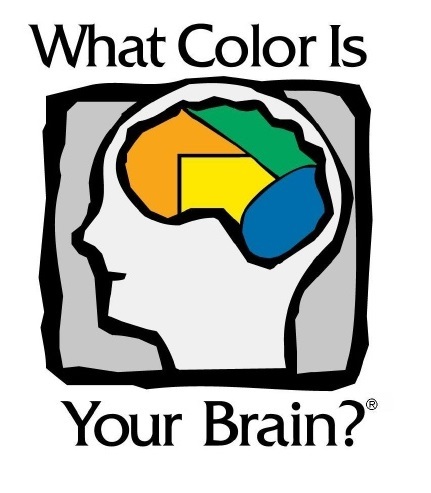 DO YOU KNOW YOUR BRAIN COLOR? DID YOU KNOW YOU CAN’T SUCCEED IN YOUR PLACE OF WORK OR RELATIONSHIP WITHOUT KNOWING IT? It’s a combination of a book and a quiz. Thanks, Ayinde. I’m glad it helped you. Very interesting. I so much love this and I hope everyone else does. We really need to take to the tips. They are all worth it. Catherine, thanks. I’m glad you liked it. I am glad it helped. Thanks for the comment, Helenna. wow,just got to know what i was on a long quest for.Thanks a lot. Thank you so much, Henry. I am glad it helped you. Thanks for the little lectures, I have learnt some of the things I which thought they do not matter in a relationship. Thanks a lot. I give? Lovely name. Thanks for the comment. Thanks for you comment, Ashley. I am glad it helped.